With 280 carrier partners across more than 100 countries, Apple’s addressable market for the iPhone these days has been estimated by some to encompass upward of four billion subscribers. With a reach that broad, opportunities for big market share gains aren’t as easy to come by as they once were — which is why we may soon see that long-in-the-offing deal to bring the iPhone to China Mobile. If Apple were to ink a deal with China Mobile in the near future, Marshall figures the company could easily sell an additional five million iPhones in the December quarter, based on three percent penetration of that 3G subscriber base of 180 million. An encouraging forecast, though a fantastical one for now. 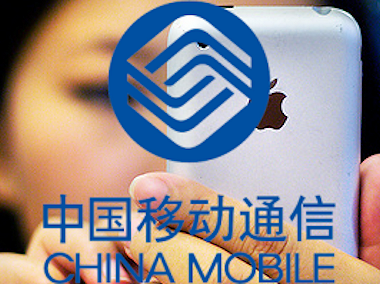 At this time, it’s not at all clear that Apple has inked an iPhone deal with China Mobile. Indeed, China Mobile Chairman Xi Guohua said last month that the two companies were still in a “deliberation process” about such an agreement. Still, it’s clear that both sides are very much interested in hammering one out, particularly Apple, whose revenue from Greater China slipped 14 percent year over year in the third quarter.